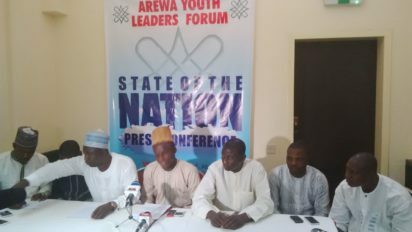 n a rare confession, the Coalition of Northern Groups, yesterday, raised the alarm that the North had become the highest consumer of hard and substandard drugs capable of causing untold social, economic and political crisis to the region. The startling revelation is contained in a mail released by the Spokesman for the CNG, Abdul-Azeez Suleiman, entitled: “Persistent proliferation of Northern Pharmaceutical Markets with Drugs of Abuse” and made available to Saturday Vanguard. Although the group did not name those responsible for flooding the North with hard and fake drugs, the Spokesman, accused the perpetrators of using hard and counterfeit drugs as a political weapon to smear the North. The CNG lamented that the persistent flooding of the region with fake and hard drugs had continued despite its demand as contained in its ‘Kaduna Declaration’ that certain aspects of drug distribution in the north be reviewed by the respective states. For this reason, the CNG called for immediate closure of all open drug markets in the North, the empanelling of task forces to deal with the dealers of fake and hard drugs and the revocation of the land titles of the masterminds across the region. The group said, “Worried by the recent disturbing revelation by the Senate of the Federal Republic that not less than three million bottles of codeine are consumed daily in Kano alone, the Coalition of Northern Groups CNG, wishes to remind the 19 northern governors of its demand for the total closure of all the open drug markets operating in Northern Nigeria. “The expectation was that by now, at least the few governors with the welfare of their people at heart would have commenced the closure of these dangerous drug markets and the immediate implementation of the National Drug Distribution Guidelines (NDDG) as contained in the 2nd Edition 2012 developed by the Federal Ministry of Health which did not include the Co-ordinated Wholesale Centres (CWC) which is the guideline that provides a distribution channel in consonance with the national drug policy and the implementation of which is empowered by the Constitution of the Federal Republic of Nigeria. “It is also expected that all the states in northern Nigeria should by now have commenced the establishment and strengthening of the state task force on counterfeit, fake drugs and unwholesome processed foods, revoking all land titles where drugs are being sold and reviewing the laws to provide stiff penalties for offenders. This should be followed up by the implementation of health insurance scheme at all levels and making the drugs available at the health centres in northern Nigeria to help eliminate nefarious activities. “CNG is worried that months after it gave this as one of the conditions for the review of some aspects of the Kaduna Declaration, the infiltration of northern pharmaceutical markets with fake, substandard, adulterated and hard drugs by some wicked traders persists. “Recall that CNG had pointed out that the existence of open drug markets, like that of Sabon Gari, in Kano, provides a convenient outlet for the sales of drugs of abuse, stolen drugs, and drugs banned internationally or donated to countries or procured by the government for citizens but stolen (case of Azithromycin donated to Niger Republic). “Over N4 billion worth of fake, substandard and drugs of abuse was confiscated and destroyed by regulatory agencies in Kano within three years from April, 2012 to April, 2015.This was from only one state out of the States in Northern Nigeria. “We are concerned that sales of fake, substandard and drugs of abuse have health, political, economic and security implications as follows and should be discontinued without further delay. “We are worried that while the north is the largest consumer of such products, its economic involvement is less than five percent of the total market value with the rest hijacked and monopolized by people from the other sections of the country,” CNG said.